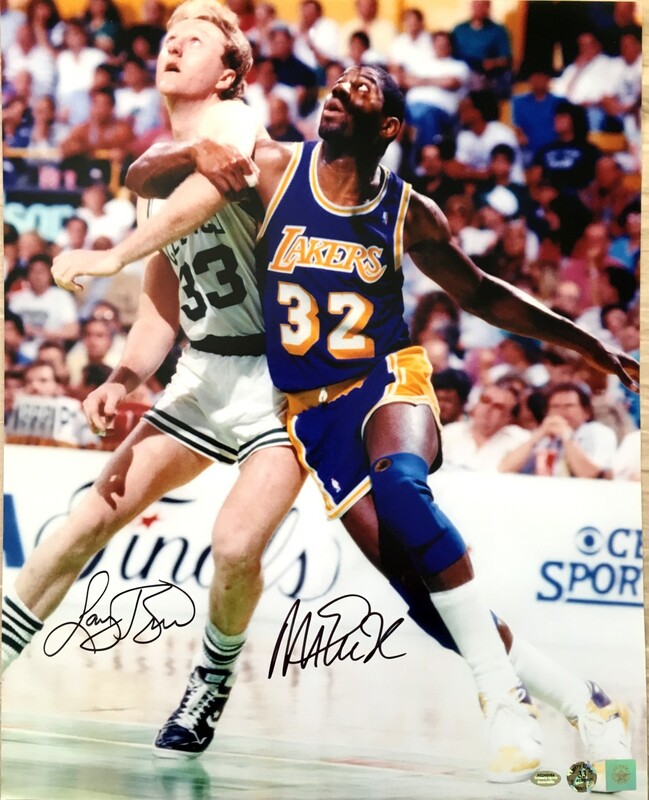 16x20 inch poster size photo of Larry Bird and Magic Johnson battling for rebounding position, autographed by both NBA Hall of Famers in black Sharpie. 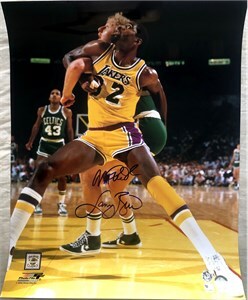 Authenticated by Schwartz Sports and Superstar Greetings, respectively, with their hologram stickers and certificates of authenticity. ONLY ONE AVAILABLE FOR SALE.